With the increasing popularity and accessibility of the Internet and Internet-based technologies, along with the need for a diverse group of students to have alternative means to complete their education, there is a major push for K-12 schools to offer online courses, resulting in a growing number of online teachers. Using the Tailored Design survey methodology (Dillman, 2007), this study examines a national sample of 596 K-12 online teachers and measures their knowledge with respect to three key domains as described by the TPACK framework: technology, pedagogy, content, and the combination of each of these areas. Findings indicate that knowledge ratings are highest among the domains of pedagogy, content, and pedagogical content, indicating that responding online teachers felt very good about their knowledge related to these domains and were less confident when it comes to technology. Correlations among each of the domains within the TPACK framework revealed a small relationship between the domains of technology and pedagogy, as well as technology and content (.289 and .323, respectively). However, there was a large correlation between pedagogy and content (.690), calling into question the distinctiveness of these domains. This study presents a beginning approach to measuring and defining TPACK among an ever-increasing number of K-12 online teachers. Archambault, L. & Crippen, K. (2009). Examining TPACK Among K-12 Online Distance Educators in the United States. 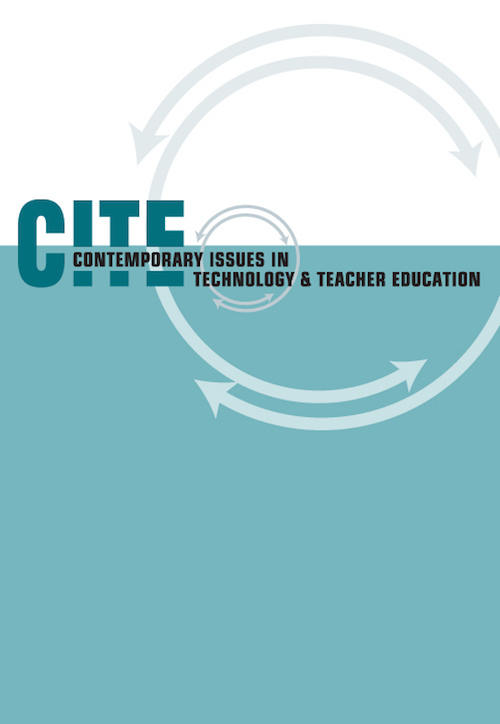 Contemporary Issues in Technology and Teacher Education, 9 (1), 71-88. Waynesville, NC USA: Society for Information Technology & Teacher Education. Retrieved April 23, 2019 from https://www.learntechlib.org/primary/p/29332/. Archambault, L. M., & Crippen, K. J. (2006). The preparation and perspective of online K-12 teachers in Nevada. In T. Reeves & S. Yamashita (Eds. ), Proceedings of the World Conference on E-Learning in Corporate, Government, Healthcare, and Higher Education (pp. 1836-1841). Chesapeake, VA: Association for the Advancement of Computers in Education. Cavanaugh, C., & Blomeyer, B. (2007). What works in K-12 online learning. Eugene, OR: International Society for Technology in Education. Czaja, R., & Blair, J. (2005). Designing surveys: A guide to decisions and procedures (2nd ed.). Thousand Oaks, CA: Sage Publications. Dillman, D. A. (2007). Mail and Internet surveys: The tailored design method (2nd ed.). New York: Wiley. Fowler, J. (2002). Survey research methods (3rd ed.). Newbury Park, CA: SAGE. Gall, M. D., Gall, J. P., & Borg, W. R. (2003). Educational research: An introduction (7th ed.). Boston: Pearson Education. Koehler, M., & Mishra, P. (2005). What happens when teachers design educational technology? The development of technological pedagogical content knowledge. Journal of Educational Computing Research, 32(2), 131-152. Koehler, M., & Mishra, P. (2008). Introducing TPCK. In AACTE Committee on Innovation and Technology (Ed. ), Handbook of technological pedagogical content knowledge (TPCK). New York: Routledge. Manfreda, K. L., Bosnjak, M., Berzelak, J., Hass, I., & Vehovar, V. (2008). Web surveys versus other survey modes: A meta-analysis comparing response rate. International Journal of Market Research, 50(1), 79-104. McEwan, H., & Bull, B. (1991). The pedagogic nature of subject matter knowledge. American Educational Research Journal, 28(2), 316-334. McLeod, S., Hughes, J. E., Brown, R., Choi, J., & Maeda, Y. (2005). Algebra achievement in virtual and traditional schools. Naperville, IL: North Central Regional Educational Laboratory, Learning Point Associates. Niess, M. L. (2005). Preparing teachers to teach science and mathematics with technology: Developing a technology pedagogical content knowledge. Teaching and Teacher Education, 21(5), 509-523. Shih, T., & Fan, X. (2008). Comparing response rates from Web and mail surveys: A meta-analysis.Field Methods, 20(3), 249-271. Shulman, L. (1986). Paradigms and research programs in the study of teaching: A contemporary perspective. In M. C. Wittrock (Ed. ), Handbook of research on teaching (3rd ed., pp. 3-36). New York: MacMillan. Watson, J., & Ryan, J. (2006). Keeping pace with k-12 online learning: A review of statelevel policy and practice. Naperville, IL: Learning Point Associates. Examining the validity of the TPACK framework from the ground up: Viewing technology integration through teachers’ eyes.